In case you wonder: The proceeds of this shirt will be spent on ad-campaigns on Facebook to spread the message. It’s not about gain, but impact! Hope is what Europe is about, isn’t it? It’s the force to overcome challenges of nationalism and fear of change. 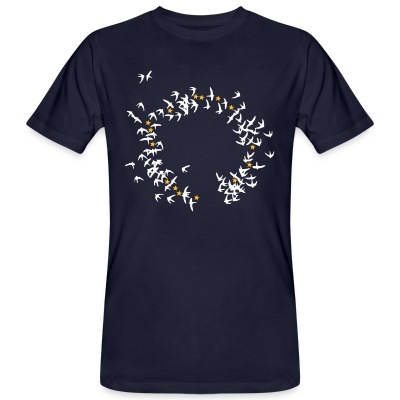 Reach for the stars like the harmonious entanglement of doves on this beautiful shirt! Naturally, it’s an organic one. The 12 stars of the European flag represent perfection. How suitable for a fan of Europe that is! 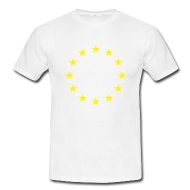 With the stars of Europe on your shirt, you become a star of Europe yourself! When wearing the European emblem, be sure to accord to the EU’s legal requirements. Did you know? – With our shirt designer you can create glow-in-the-dark stars to make a true difference to any Erasmus party. Or stars in golden glitter that will make heads turn from Madrid to Moscow. 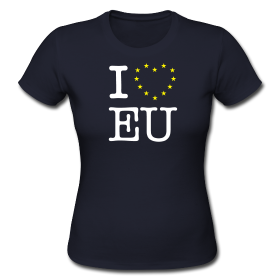 The European version of the the famous "I love NY"-shirts. Why only loving a city if you can love a whole continent instead? Show the world your affection! The shirts are available in many colours. In the shirt designer you can choose among further print colours and products, such as hoodies, v-neck shirts and more products. 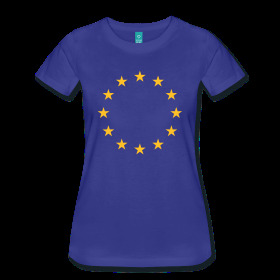 EUROPE SHIRTS works with spreadshirt. HIGH QUALITY - Long lasting flex and flock (plott) printing. FLEXIBLE - No minimums, Buy single items or get a quote for a bulk order. BRAND PRODUCTS AVAILABLE- Choose among others American Apparel, Continental, Puma etc. Europe is great! We offer some shirts for people who think so, too. This continent is a wonderful, diverse place. Together we can solve the challenges ahead of us! 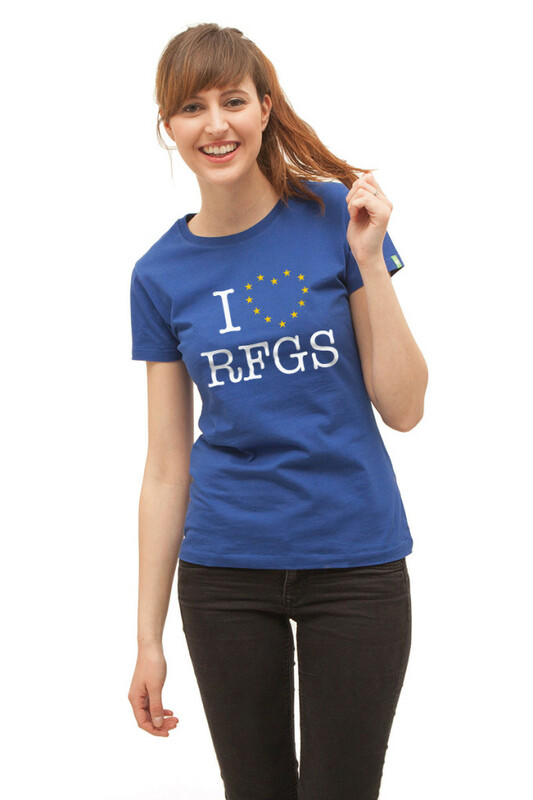 Welcome to the Shirt Shop for the Fans of a friendly, diverse Europe.